Earlier this morning, we published screenshots from Google Play that suggested Google is about to introduce physical gift cards. 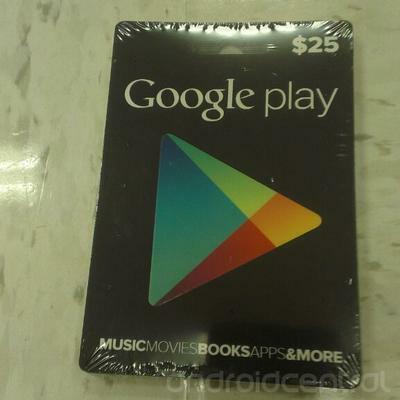 The screenshots showed a specific area of Google Play where users were given the opportunity to “redeem” a gift card. 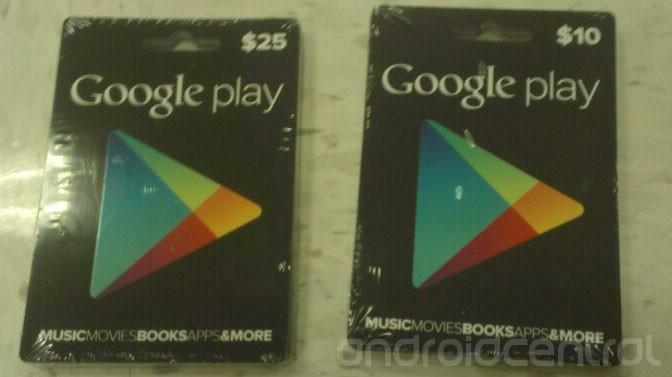 Well, it looks like gift cards are actually happening because a few images of them just surfaced courtesy of the fellas over at AndroidCentral. From what we can tell, the gift cards will be available in $10 and $25 quantities and can be used to purchase anything in Google Play, such as movies, apps, music and books. We gather they will be available soon, but Google hasn’t yet announced them just yet. In any case, it makes perfect sense for Google to compete in the same market that Apple does with its own iTunes gift cards. Hopefully we’ll be able to grab a few from Walgreens in the near future!